Following in her grandfather's footsteps, Lily has ambitions to be a great archeologist on the hunt for hidden gems. Her quest for the ultimate treasure, fame and glory begins below the garden of their own house. 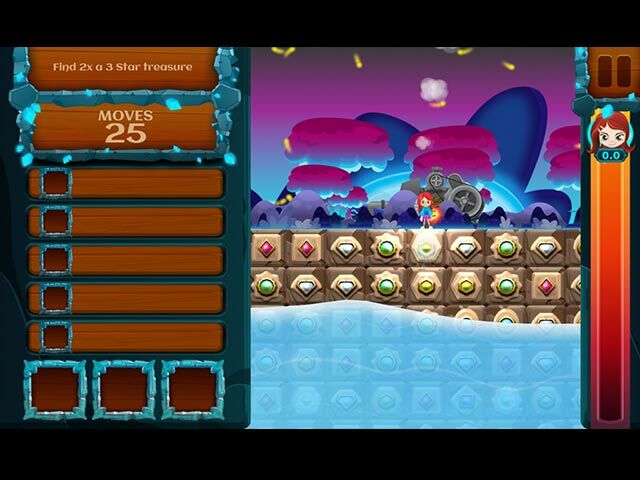 "Lily?s Epic Quest" is an innovative enhancement to the match-3 genre. Use your knowledge of match-3 mechanics as you clear a path for Lily through different ground layers. Removing blocks will make space for Lily?s path towards the center of the earth. 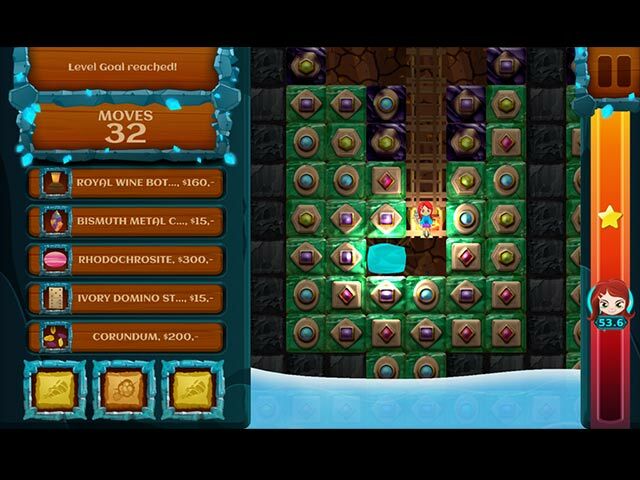 Explore eight magical worlds on your search for rare gems and artifacts. Enjoy traditional match 3 principles with a free roaming playfield. 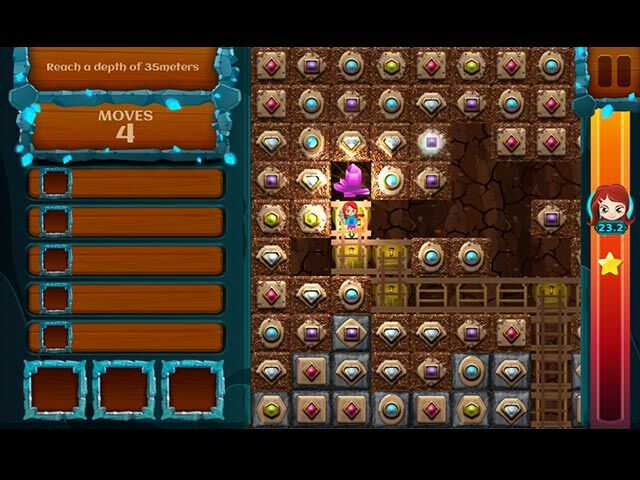 The player decides where to dig for gems and how to solve 115 puzzles. 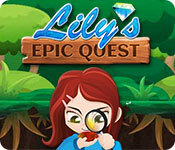 If you like Lily's Epic Quest game, click to start Lily's Epic Quest download. Sign-up to get informed when the Lily's Epic Quest series has new game released with BD Studio Games' FREE bi-weekly newsletter.